Kerry Taylor has been Chief Marketing Officer for Viacom International Media Networks since 2014. This includes brands including MTV, Comedy Central, Nickelodeon and Channel 5, whose rebrand she oversaw in 2016. In addition, since 2012, Kerry has also had the role of SVP, Youth and Music leading MTV International’s brand strategy including commissioning international reality hits, Ex on the Beach and Geordie Shore and leading MTV through its repositioning from ‘I want my MTV’ to ‘I am my MTV’, an audience generated brand identity. Prior to this, Kerry was Head of MTV UK during which time the channel won Broadcast Digital Award’s Best Entertainment Channel of the year and VP, Creative, Marketing and Press for MTV. 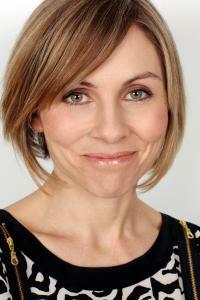 From 2000-2007 Kerry worked at Virgin Media Television (formerly Flextech) as Marketing and Creative Director and prior to that in roles as Director Creative & On Air and Creative Head. From 1997-2000 Kerry was a creative at the BBC. She started her career in 1994 as a production assistant at Star TV, Hong Kong. She was educated at Manchester University where she studied American Studies.She is also a qualified life coach and NLP practitioner.